cases covering all aspects of property litigation. Martin is known for his ability to understand clients’ commercial objectives and for providing rapid and practical advice. 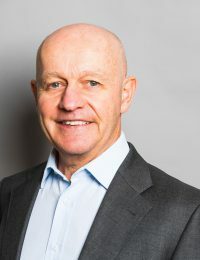 He has particular experience in commercial landlord and tenant matters including business tenancies, dilapidations; insolvency-related lease issues, and consent for alienation. Martin also regularly appears in and advises on real property cases. He has a wealth of recent reported cases. They concern such diverse areas as restrictive covenants; development agreements; easements; commercial lease interpretation and land registration. Martin was awarded Real Estate ‘Silk of the Year‘ at the Chambers Bar Awards 2014. In 2013 he was successful in four separate property cases in the Court of Appeal concerning: easements; construction of a property sale confidentiality agreement; issue estoppel and dilapidations. Martin is involved in many aspects of alternative dispute resolution including acting in mediations and as an adviser to arbitrators and experts. Martin is consistently recommended in The Legal 500 and Chambers & Partners for property litigation and is listed in the Who’s Who Legal: UK Bar 2018 for Real Estate, where he is described as one of the “most highly regarded” barristers in this area. Excellent at understanding clients’ commercial needs.